Infopet - Quantifying sources of environmental contamination with Toxocara spp eggs. Toxocara contamination can cause disease in humans, and different species of wild and companion animals can excrete Toxocara eggs, which can then be accidentally ingested by humans. There appears to be no link between Toxocara eggs being found in private gardens, and households owning a pet. There is, however, concern that dogs could spread infection. This study aimed to assess the contribution of dogs and other animals to Toxocara contamination of public places like parks. This involved analyzing 220 faecal samples, 99 from dogs aged between 6 months and 16 years old (69 of which were from Bristol and 30 from Swansea), 97 from puppies under 6 months from Bristol, in addition to 14 samples from Swansea foxes, eight samples from stray cats and two samples from stray dogs, the strays being from Bristol. The samples came mostly from Bristol, with some from Swansea, UK. 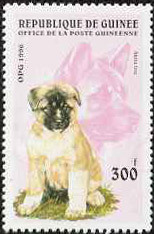 Samples from puppies came from breeders. Samples also came from shelter dogs and cats before they were given worming treatments. Puppies under three months were more likely to be infected, and to shed a lot of eggs, while the prevalence of infection declined the older the dog, even though worming treatments were not always given regularly. Puppies are often confined until after their first shots, so young puppies are unlikely to be a major source of environmental contamination, despite their higher infection rates. Foxes, stray cats and stray dogs can also pàss on infection, but there were too few stool samples to assess their relative importance in this study. Adding this data to other studies, it appears that foxes could become the main source of contamination in public places, especially if owners pick up their dogs’ faeces, so reducing transmission from dogs. More information is needed on the role of cats and foxes as sources of infection.